This website contains a stunning collection of photographs of Richmond Park by local resident and photographer, Steve Morgan. Included are also some of his favourite things to do in Richmond Park such as walks, bike rides and places to eat and stay to help you make the most of your visit to the park. Richmond Park in London has dramatic, stunning views and exciting wildlife all on London's doorstep. View and buy professional photographs, prints and canvases or download stock images from this amazing location in Richmond, Surrey, UK. 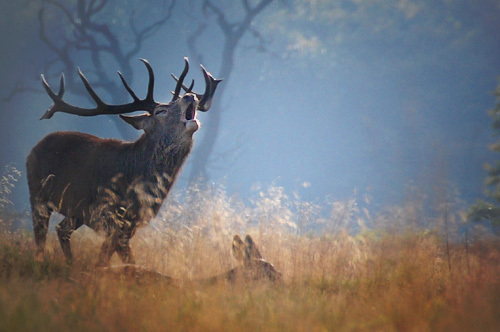 Richmond Park, London is a website showcasing the stunning photographs from local photographer, Steve Morgan. Originally from rural Suffolk, Steve has lived locally in Richmond for many years and was drawn here by the beautiful landscapes and wildlife of Richmond Park. Steve Morgan's photographs are available to buy as prints and greetings cards, which make great, original gifts. Steve uses Nikon cameras. Take a look at the latest digital cameras at Amazon.